I love everything about this particular wedding photograph that was taken in Sammamish, Washington at the Plateau Club. 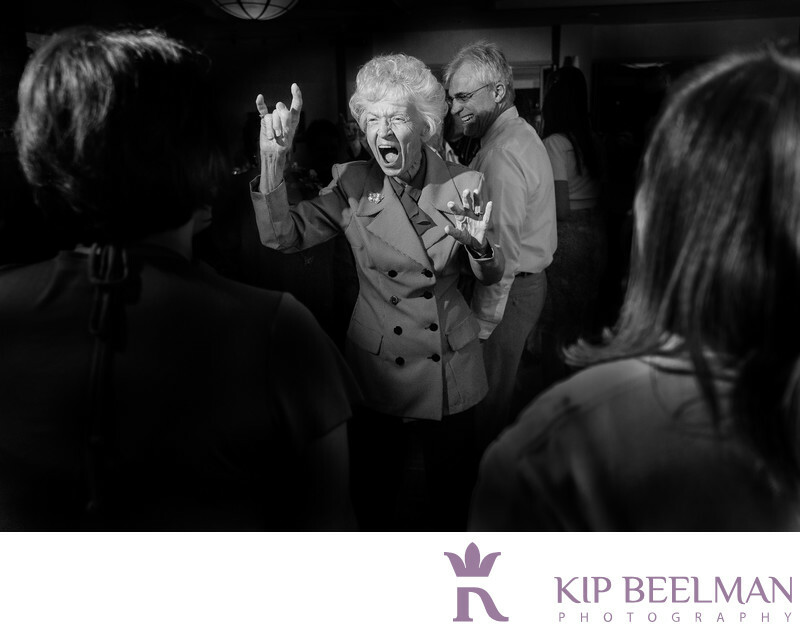 Even better, it won a Fearless Award, which is so apropos for this woman’s fearless expression of celebration. Before this fun and fearless moment, the equally charming bride and groom were married on a gorgeous sunny day at the Plateau Club, which is located on the Sammamish Plateau. An elegant country club with magnificent and scenic options for wedding ceremonies and receptions, the Plateau Club is a Northwest-style clubhouse that is in harmony with the serene setting and beautiful natural surroundings. Soft colors and lighting, spectacular views and an inviting atmosphere made for a wealth of fantastic wedding photography opportunities, such as this black and white shot. It marries excitement with enjoyment, activity with a little bit of humor. In the world of wedding photography, Fearless Awards recognize “stunning wedding photos that excel in redefining wedding photography or are just too amazing!” Less than one in 10 images submitted are awarded by the Fearless Awards curators, so I was thrilled that this memorable moment was recognized and awarded. Likewise, I am always thrilled to share in these moments of candor and amusement, joy and connection. Location: 25625 E Plateau Dr, Sammamish, WA 98074. Keywords: Golf & Country Club Wedding (9), Sammamish (3).